For you to pray out loud. There is no peace in Aleppo. There is no peace in Syria. Every night the people flood their beds with tears and drench their couches with weeping. Their eyes waste away with grief. Their spirits shake with terror. You are the one who took them out of the womb. They have been entrusted to you ever since they were born. We turn to you, O Lord. To whom else can we go? Lord, hear our prayer for the people of Aleppo and let our cry come to you. 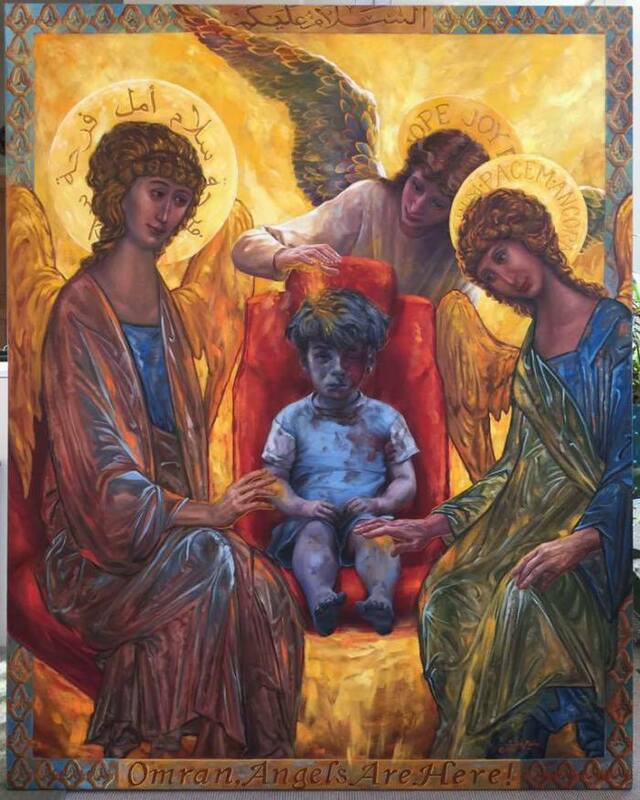 “Omran, Angels Are Here!” Copyright 2016 by Judith Mehr, used by permission.